In the future, when people ask why buy a 22" WSM I think I am just going to show this photo. Nice smoker! I love my WSM18 but I was torn between the 18 and 22. I've smoked 3 birds and a pork shoulder on it at one time, but havent done a brisket yet. 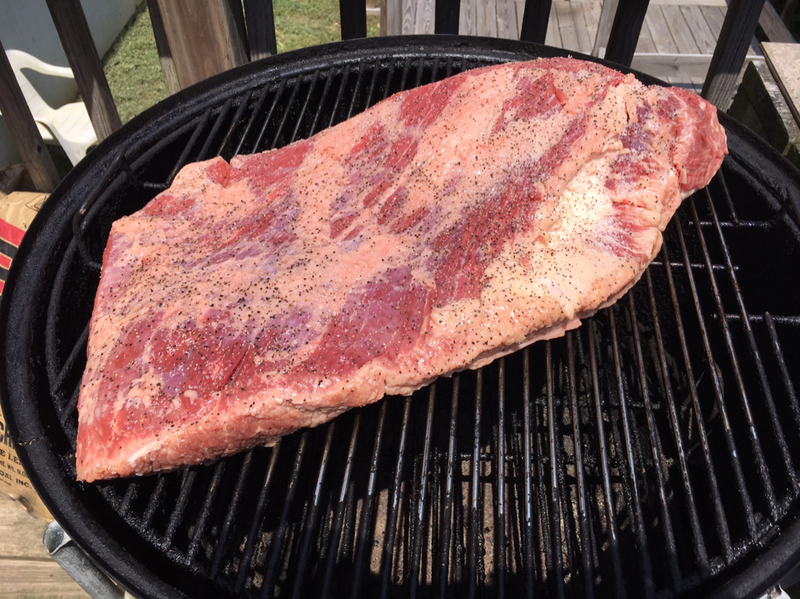 I'd likely buy a smaller brisket, or cut a big one in half if it wouldn't fit, though I've heard wedging a larger brisket between the handles works well too. Either way, they're great smokers that turn out some great meats! If you get one wedge it between the handles. They shrink when cooked. This one turned out awesome. Go to The Virtual Weber Bullet for great info: http://virtualweberbullet.com/. Cook some chickens at high heat, or a pound of bacon, etc to get some seasoning in it. Otherwise the first few cooks will run hot. Once seasoned it is set it and forget it for hours. BTW: I'm Texas born and raised. Silly me, I thought it meant Winchester Short Magnum. 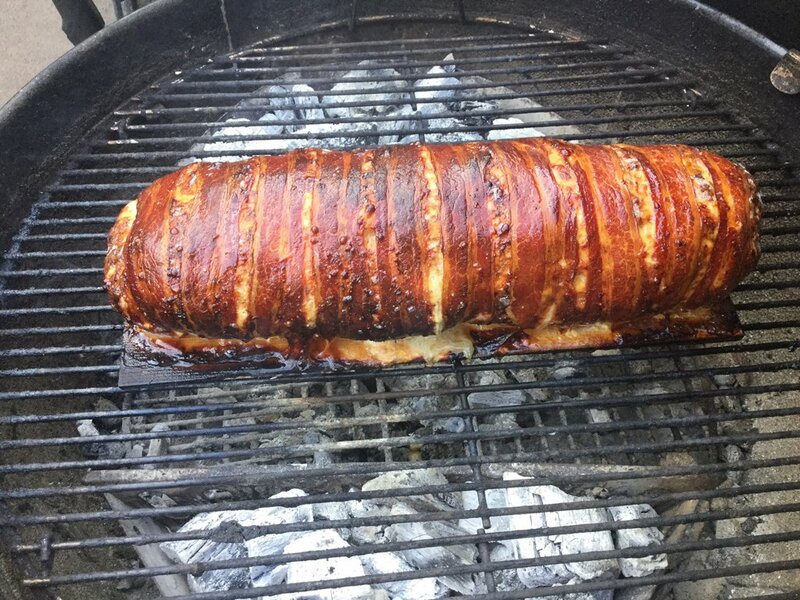 I do the snake method on my 26" Weber and can smoke two boston butts in 10 hours and maintain 225 without touching it. If i wanted more capacity I would grab one of these. http://smoke-ez.com/. Someday I would love a WSM but until the cash frees up I like the versatility I get from my standard weber ketttle. 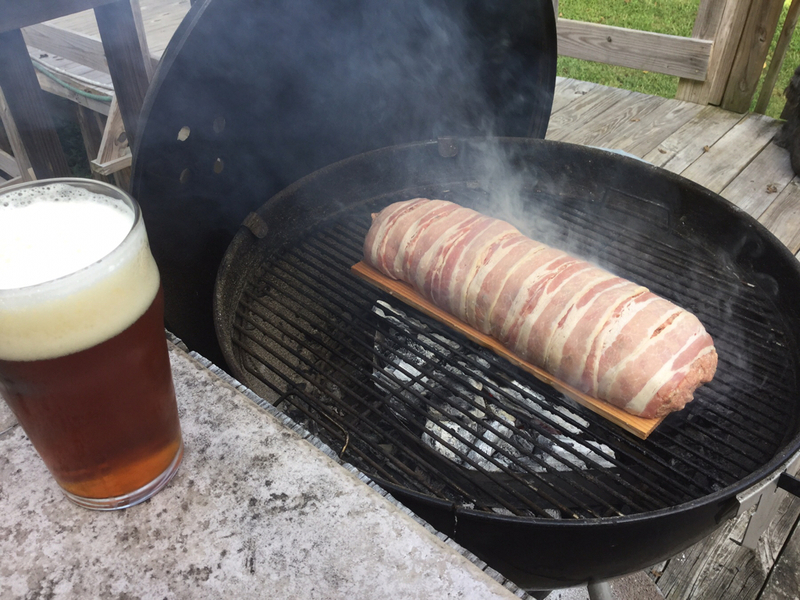 If you ever get the opportunity (if you haven't already), try wrapping your favorite meatloaf recipe in bacon and smoke it on a cedar plank. This is the only way we do meatloaf any more. Holy crap does that look good! Nice work!!!!!!!!!! !